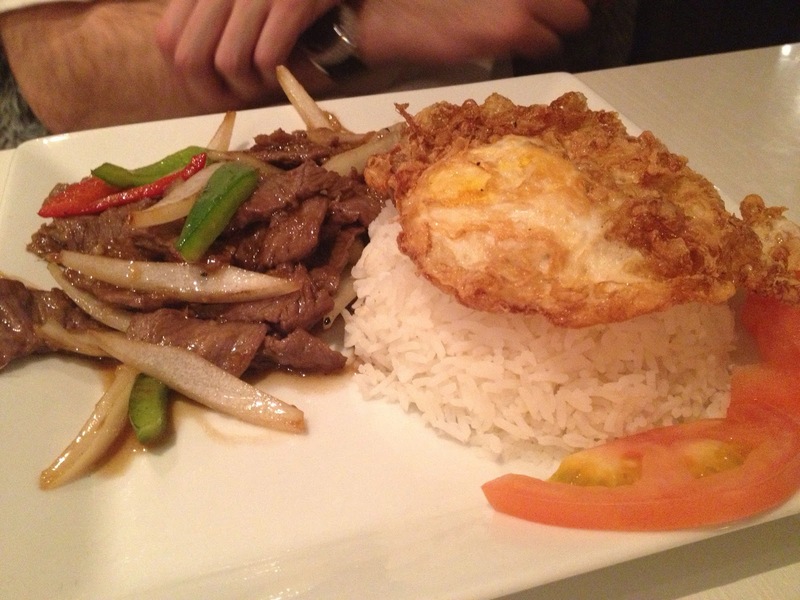 Home / Whitby / Step Aside Sushi, It's Time For Thai! Step Aside Sushi, It's Time For Thai! Dress code? Not required, oh wait. So, I left it upto my boyfriend to pick where we would eat. He was in the mood for Thai. After some searching, he selected Sweet Basil. Painted white walls and dark furniture, it is inviting and comfortable. There was no music, which I found odd. The menu is small, but full of flavour. Our server was very knowledgeable and didn't even make fun of us for asking for no spice in our meals....or because I'm afraid of curry. We ordered Ginger Beef and Bangkok Pad Thai. 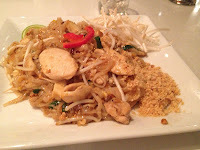 I've eaten Pad Thai a bazillion times, but this was different, better. This was not your out of the box Pad Thai. It was sweet, but not too sweet. The Ginger Beef was amazing, tender slices of beef in a delicious ginger sauce that wasn't overpowering. The rice came with a crispy fried egg on it. My boyfriend tried it, but it didn't seem to fit the meal. Once again, it looked like I'd have some awesome leftovers....until my man finished his meal and proceeded to finish mine. It was that good! It was a positive experience and I'm definitely going back. The server encouraged me not to fear curry and pointed out a few good starter dishes I should try. He even taught us how to say 'good' in Thai! The hidden gem of Whitby and it's just west of downtown! Can't stay for dinner? Grab takeout. Customers were picking up takeout orders the whole time we were there! If you try the curry, let me know how it is! !